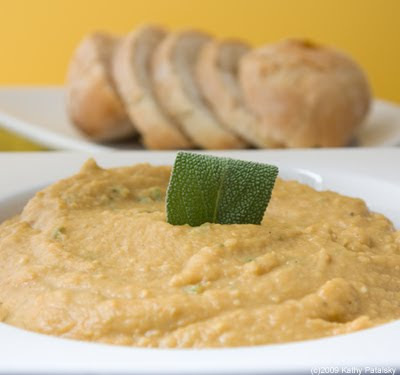 Perfect Butternut Squash Dip. Party Approved. Vegan. Healthy dip. 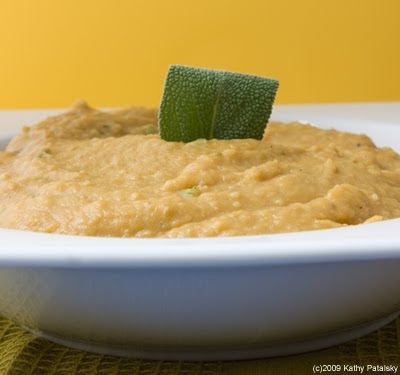 Protein from the hummus, fiber from the squash and hummus and vitamins and minerals from the super food butternut squash. Vitamin A galore. 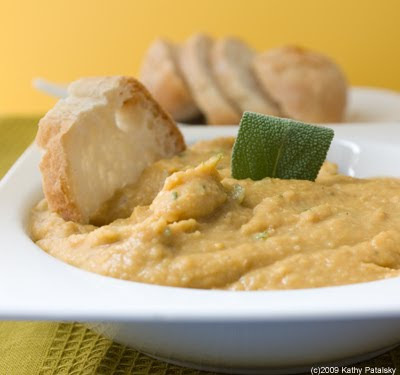 Plus this creamy dip is hearty and filling. If you want to lighten up the calorie content, simply replace the soy creamer with soy milk or orange juice. 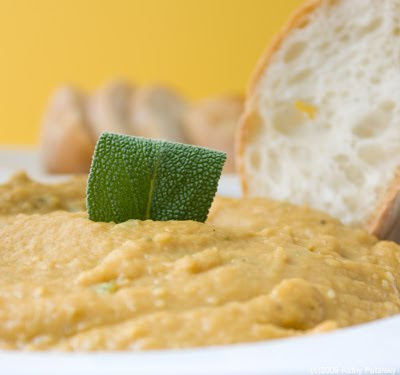 You can even use less hummus or a bit less maple syrup for a mellower sweetness. 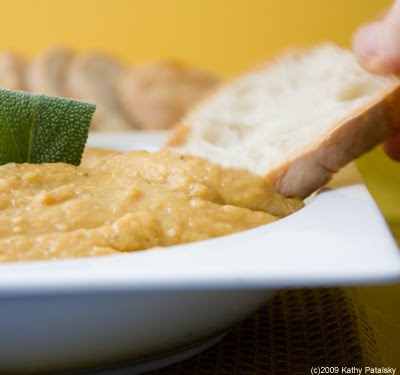 Butternut squash is fat-free and contains 50 calories per half cup. 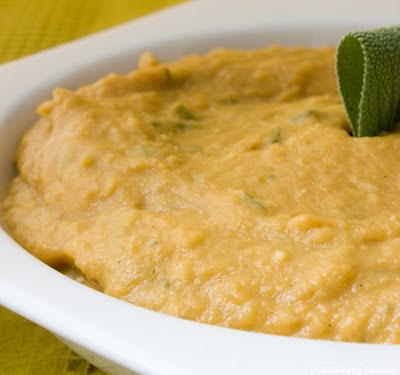 This dip recipe is fantastic! 1. 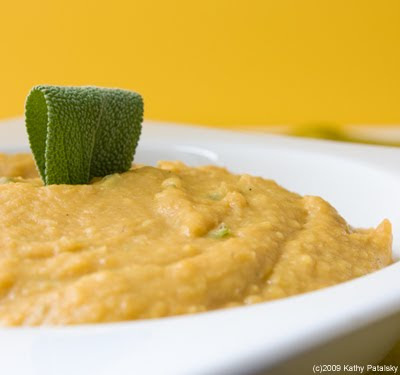 Spoon butternut squash puree into a small-medium mixing bowl. 2. 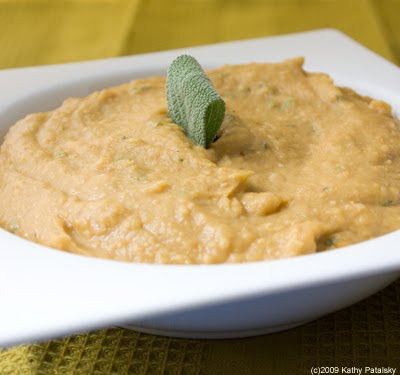 Add hummus, maple syrup, non-dairy liquid, orange peel/zest, salt and pepper. 3. Whip mix well until dip is smooth and well blended. 4. Fold in a pinch of sage leaves. 6. Fold in the rest of your sage leaves and your salt to taste. If adding cayenne and/or cinnamon, fold in a dash now. Microwave for another 20 seconds, whip well again. 7. 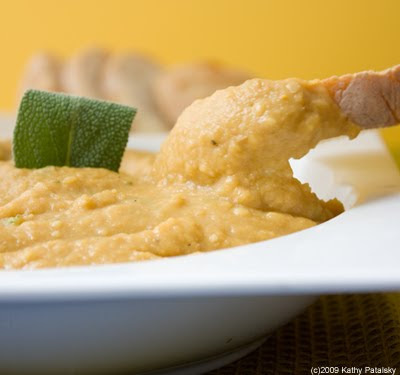 Spoon dip into a serving dish. Garnish with a fresh sage leaf. 8. 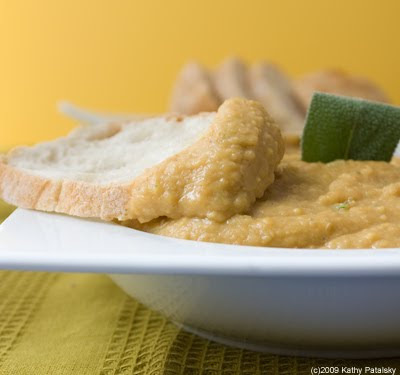 Serve with crostini bread, crackers or veggie sticks. This dip is to be served luke warm to room temperature. So if it sits out for a while, that's OK. But if you'd prefer, you can serve it warm-hot. Fresh Squash Note: If you'd like to use fresh butternut squash you certainly can! 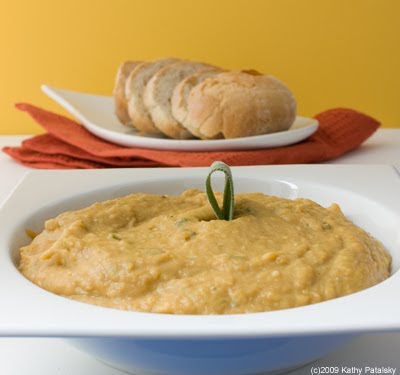 Simply cook and puree the squash and use in place of canned.